​Liverpool manager Jurgen Klopp has admitted the current squad is one with the quality he's always 'dreamt' of managing in his career. The Reds, who currently have a two point lead over Manchester City at the summit of the Premier League, will put domestic matters to one side when they take on FC Porto in the first-leg of their Champions League quarter-final tie at Anfield. In a season that could end with winning two major trophies, Klopp is delighted to have challenged for silverware with the squad at his disposal - crediting their attitude above everything else. As quoted by ​The Mirror, he said: "When I was a young manager I was always dreaming of having a team of world class players with the attitude of a proper challenger. "That is actually what I love, and we showed that especially in the Champions League very often." It's the first time since 2009 that ​Liverpool have reached at least the quarter-final stage of the Champions League in consecutive seasons, with Klopp insisting that his side will continue to defy doubters of both their ​Premier League title challenge and efforts in Europe. He added: "Nobody wants us but we are still there. So far nobody got rid of us because we are there constantly. That is exactly what we wanted. "For these decisive moments it is not that you are born a mentality monster. You grow as a group and you develop a mentality and that is what the boys did...they are like this now." 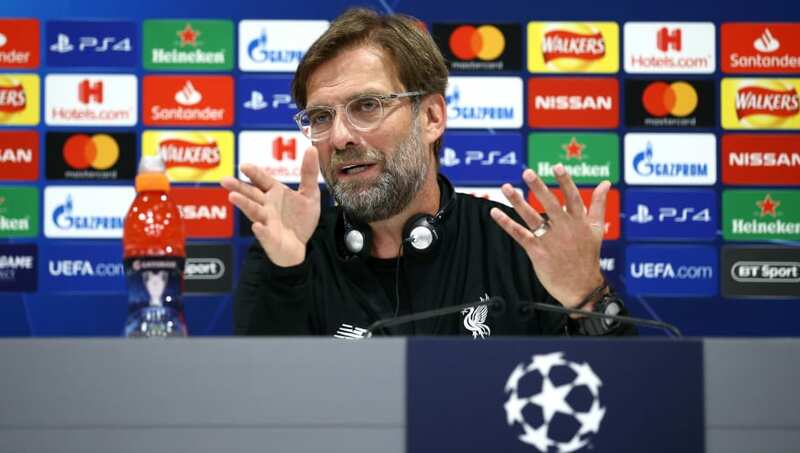 While the only blot on Klopp's Liverpool record during his tenure is his failure to win a trophy so far, the former Borussia Dortmund boss has called for everyone connected with the club to 'enjoy' the latter stages of the season. He continued: "Winning something changes everything. But in this moment we should not think about that. As a club, as a group, with all our supporters we should enjoy the situation because it is so different. I'm enjoying it 100% more than last season. "I want to be as successful as possible but I am a normal employee as well so I know the most important thing is that we need money for next year as well. That means we have to qualify for the Champions League. That is real pressure."